Librarians have an integral part to play in shared decision-making and health information literacy, because they possess the required skills and are uniquely positioned to provide information support to the public. Shared decision-making is when patients participate in the decisions made about their treatment options. At the Salzburg Global Seminar, participants from 18 countries agreed a statement that calls on patients and clinicians to work together to be co-producers of health. One of the key components to this statement is that “We call on patients to seek and use high-quality health information”. In 2011, the Department of Health published "Liberating the NHS: An Information Revolution" which coined the phrase "No decision about me without me", again demonstrating that patients should be involved in decisions made about their treatments. Evidence-based practice has been embedded in clinical practice since the early 90s, and there are many resources available to help health professionals make evidence-informed decisions, including clinical databases, point of care tools, journals, and medical librarians to help them retrieve and appraise the information that they need. The public do not explicitly have this support. There are specialist websites available, such as NHS Choices, The Information Standard, Patient.info, etc. but do the public know about them and how to use them? This is where public and NHS librarians can help, as they can act as signposts to the information that empowers people to be active participants in their health and well-being. At Public Health England, we have been working with the Society for Chief Librarians, Health Education England, and CILIP (the library and information association), to build links between NHS and public librarians so that access to good quality consumer health information can be improved. Consumer health information comes in different formats, from patient information leaflets (NHS Choices), to patient experience videos (HealthTalkOnline), to decision aids (NICE Evidence Search), which are a list of condition-related questions that people can ask at their treatment consultations. 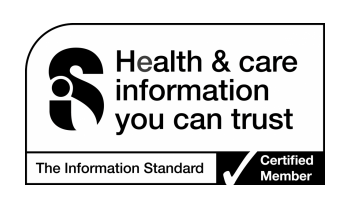 The Information Standard (TIS) was launched in 2009 to make it easier to identify good quality consumer health information. It is a mechanism that enables information producers to undergo an evaluation of their production processes, looking at the evidence sources referred to, user understanding and involvement, and quality checks. Once they have complied with the requirements of the TIS, they are awarded a certificate to demonstrate that they are an information producer that can be relied on. Content that has been awarded the TIS certificate can then be found via NICE Evidence Search and TIS. Producers of patient information are not obliged to adhere to quality standards, but it makes it easier for the public to recognise good information from bad. Attribution – is it clear how the information is informed? Has it been referenced? Disclosure – is the web-site sponsored by anyone who might have a commercial gain? Currency – is there a date showing the age of the content? The key thing to remind the public is that they are not alone. If they need information, then the public library is the place to go, because there they will find staff who can signpost them to the information that they need. Patient and public information – how can libraries help?